1. For those started with tetanus symptoms or in suspicion, tetanus antitoxin should be given immediately together with surgical and other clinical administration at the same time. For those openly wounded, especially those wounded deeply and contaminated seriously, and in danger of being infected with tetanus, prophylactic injection of tetanus antitoxin should be given at once. 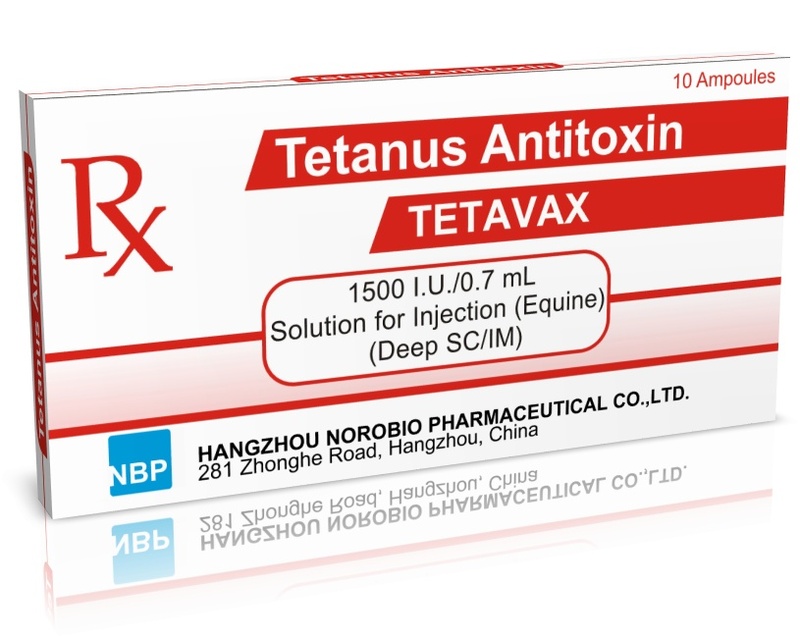 Patients who have had previous injection of tetanus toxoid should be boosted with one more injection of tetanus toxoid (but not tetanus antitoxin). To those who haven't had previous tetanus toxoid injection or without a clear history of immunization, both antitoxin and toxoid should be given for prophylaxis and permanent immunocompetence. The total volume for a single dose should be not more than 40ml for adults and not more than 0.8ml/kg of body weight for children. Tetanus antitoxin may be diluted with dextrose solution or physiological saline for intravenous drip. The drip must be stopped at once if any untoward reaction occurs. Storage: In the dark at 2-8 degree, and not be allowed to freeze.